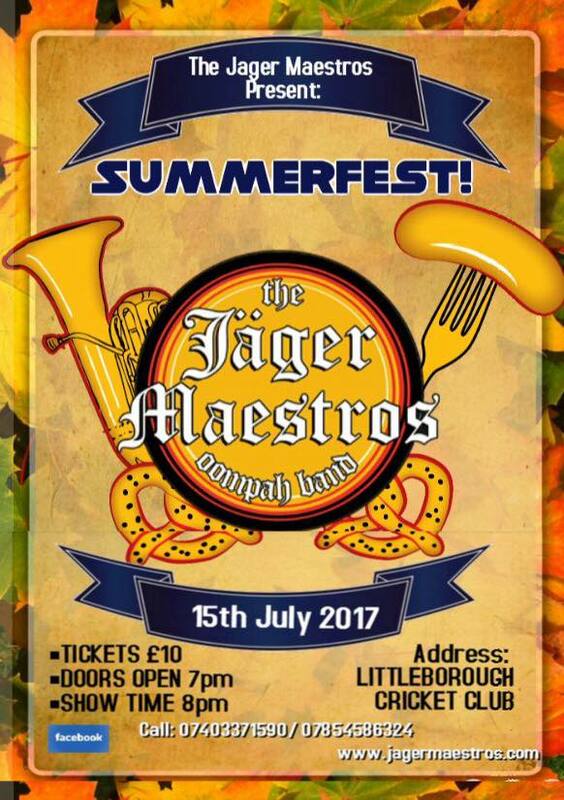 The Jagers will be putting on an authentic oompah experience right at home in Littleborough on the 14th AND 15th July 2017. The night will consist of swaying, drinking, singing, games and dancing as well as top class music and comedy. 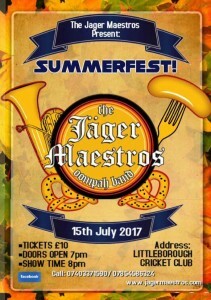 Tickets are NOW ON SALE and are available at £10 each. Please see contact on picture below to book tickets.